Children have so much energy that sometimes it seems they’ll bring the house down if you can’t think of something for them to do. It’s an eternal problem for parents with children of all ages: how can I keep them busy? Luckily for you, we’ve put together a list of 21 suggestions you might want to try. They vary in terms of what age they work best for, but we’re convinced that they’re all perfect in their own way for keeping your kids busy when it’s raining outside. Provided they can be easily accessed and are completely unplugged from the electricity, together with your child you can paint the blades of an ordinary household fan different colours. Put it back together, turn on the fan, and see how impressed your little ones are by the whirling rainbow effect! Mix the butter and cream together in a food processor. Carefully add the powdered sugar to the mixture, stirring all the time. The mixture should turn into dough which is thick enough to be moulded by your hands. Add the vanilla extract at the end. Knead the dough having sprinkled it with more powdered sugar. Divide it into several parts, adding a drop of food colouring to each one (if you choose not to use food colouring, it works just as well if left white). Now it’s ready to let your child have a go — they can flatten it with a rolling pin, cut out figures and shapes, or just mould it how they want with their hands. And remember — if they decided to take a bite, there’s no danger at all! Provided you take care to make them absolutely secure, you can set up swings for your kids at home just like you would in the back garden. Remember — the chances are your kids will want to sit in them all day long! If winter is still a long way off, try making your own snow. All you need to do is mix together corn starch with shaving foam. You can also add a little food colouring to make multi-coloured snow. Gather up some buttons, beads, jar and bottle lids, and other similar objects lying around the house, and make little faces out of them with your child. Not only will this keep your child busy, it will stimulate their imagination and a develop their dexterity as well. You can mix together some hair gel, food colouring, glitter and even sweets to make various unusual kinds of paint. 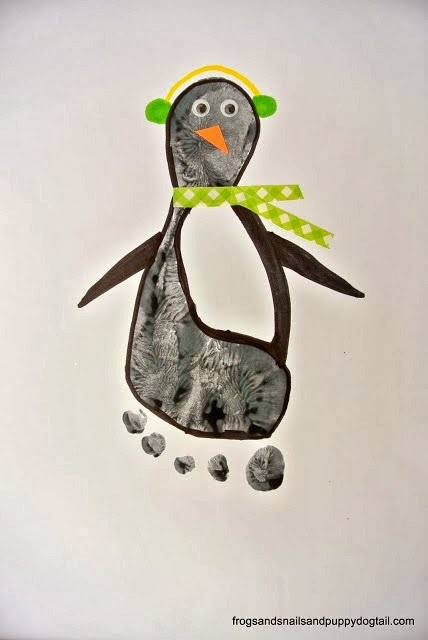 Your children will be even more fascinated than usual by the kinds of things they can draw. All you have to do here is melt down some chocolate, then dip a blown-up balloon into it. Allow the chocolate to cool down and harden, then pop it. Now you have edible bowls! Simply break up some cardboard boxes into their separate parts, tape them together, and cut out arcs in one or more sides. A whole day of fun is guaranteed. 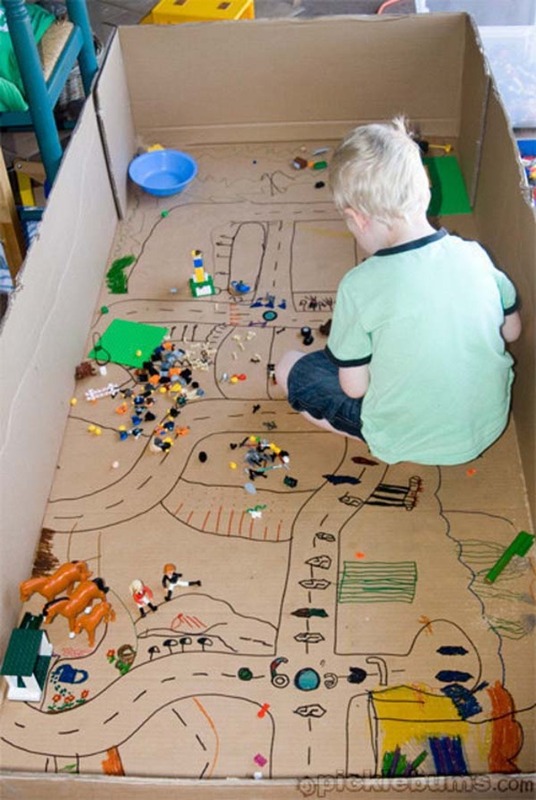 You can use a large cardboard box to draw a map of an entire city together with your child. It’s a great inspiration for their toy cars. You need a wooden board, some newspapers, toilet paper, glue and paint. 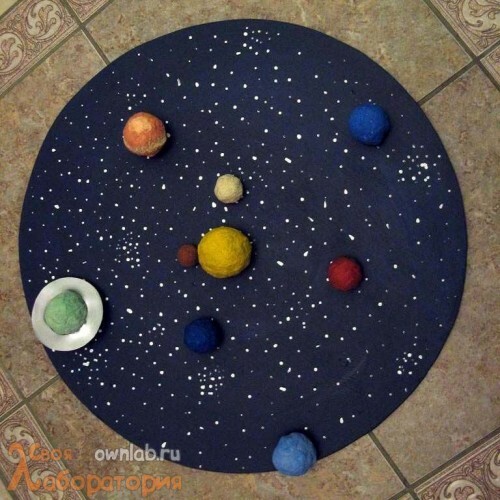 Make paper balls out of the newspapers and toilet paper, then paint them the colours of the various planets. Paint the board with stars, and attach the planets to it. All you need for this is some toilet rolls and cardboard boxes, and a bit of paint and creativity. A great idea if new year is approaching. With the help of some acrylic paints, your child can let their imagination run riot with a plain bauble. They’ll be very proud of the result. This one’s self-explanatory. Your kids will be fascinated! Cut out the silhouettes of some sea creatures using black paper, along with those of seaweed, rocks and so on. Colour a piece of white paper with marine colours — shades of blue and green. Use colours which won’t dry immediately. Then give your child a pippet full of water, and show them how to put a few droplets on the painted piece of paper — it will create a bubbly, ’underwater’ effect. Wait for the paper to dry completely, then glue the various sea creatures to it. Gather some leaves from the park, clean off any soil and dirt, and use an iron to flatten them out and dry them. Place the leaves between the folds of a piece of paper, and grab a soft pencil or crayon. Colour the area where the leaf is placed underneath in broad strokes, and the detailed outline of the leaf with all its larger and smaller veins will appear. Your child will be fascinated! Mark out the numbers for a game of hopscotch on the floor somewhere at home using coloured tape or paper. Now your kids can play their favourite game indoors. If the underside of your umbrella is black, you can easily paint it to resemble a view of outer space with galaxies and twinkling stars. All you need is some paint and a little imagination. Your kids will find it fascinating. You can make wonderful bubbles by mixing water and any type of liquid soap in a bowl. Put the neck of the bottle into the solution. Then squeeze the sides of the bottle to let the bubbles out. By this we mean make some lightsabres out of balloons — that way no one can get hurt. To make them glow you need some flashlights, as well as a toilet roll to help make the handle. You’ll need a chewing gum (Tubble Gum is the best choice), tap water, some Coke, and a syringe. First, squeeze some Tubble Gum onto your fingers and make a "sack" out of it. Fill the sack with tap water and stick the edges together, making a water balloon. Now fill the syringe with Coke and gently insert the needle into the balloon, slowly squeezing the Coke inside. Congratulations, you’ve made your own slime ball! It won’t live long, but both you and your kids will manage to have fun with it until it pops.